Ping is evil, yes I know. Many will shout on me now, hold your horses and continue reading. ISA Server is a Firewall, you do not want to give the key of your house for the thief to steal it, ping is the same, don't give someone the tool to flood your Firewall with an unwanted traffic ! Once you install ISA Server, you can no longer ping the machine that ISA Server is installed on. Click on the Firewall Policy node, as you can see, this is a fresh install of ISA Server 2006, and it still has its default Deny rule. We will not create any new rule to allow Ping to ISA Server, we will be working with ISA Server System Policy, Click here to read more about System Policy. By default ICMP (Ping) is Enabled, it is ? OK ! then why no one can ping the server ? 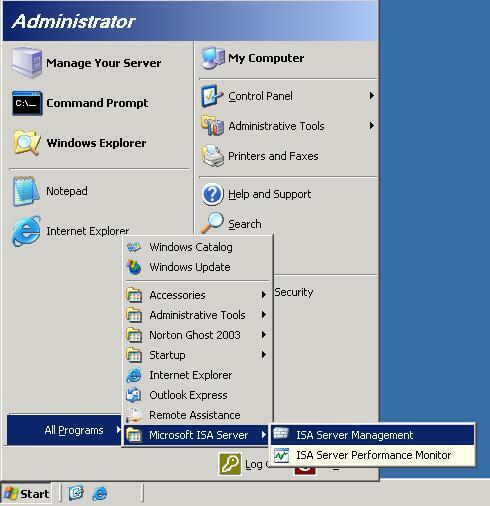 This is because you will need to specify from which machine(s) you are going to allow ping to your ISA Server, this can be configure by clicking on the From Tab, by default the Remote Management Computers is included under the From tab, and by default , the Remote Management Computers is empty and you will need to populate it. Now, I will go to my laptop and start pinging my ISA Server. As you can see from the image below, request time out was the first result of the ping, then once the changes took place after the Apply operation completed, reply responses started to come back as shown. All the System Policy rules will be displayed in details. In this article, we enabled Ping from only Selected Computers to ISA Server. Do not enable ping from a wide range of computers or from all your Internal Network, enable it only from few selected machines. Believe me you do not want to flood your Firewall with unneeded traffic.